Laptops are versatile gadgets that allow you to work and play wherever you are. However, they lack the configurability of a desktop PC which makes buying them a lot more time consuming. For something like game development, a laptop can be good but you need to be able to use it comfortably without a big screen. You’ll also have to make sure it meets all your requirements upfront as swapping out components is costly and difficult. Depending on your budget and what type of game you’re trying to design – VR, 2D, 3D, etc. – there are various choices. Check out our picks for the best laptop for game development. ASUS laptops are some of the most popular on the market. They’re a bit cheaper than Dells and tend to outclass Acers in terms of cooling. The bread and butter of this laptop is the Intel I7-8750H processor. It can be turbo boosted to 3.9GHz which is enough for 2D and 3D game development. The GeForce 1050 Ti 4GB graphics card is a good starter option for someone that’s learning the ropes. However, although the card is VR game-ready, it’s not the best option for VR game development if you’re shooting for fancy graphics. On the memory side, you get 8GB of DDR4 RAM running at 2666MHz. This is a high-enough frequency for running some triple A games on max settings. The M.2 SSD only has 256GB. It won’t be enough for Unreal Engine or Frostbite but it will allow the laptop to run smoothly. Seeing as gaming and game design make systems run through hoops, the dual-fan setup on the ASUS FX504 is most welcomed. It is certainly better than most Acer gaming laptops that put the fans under the laptop. With an 8th Gen Intel processor and a mid-range Nvidia graphics card, the ASUS FX504 is a solid choice if you’re serious about game development. You just need to manage your expectations. You can make the next big-hit platformer on it but you won’t make a battle royale sensation because it has modest components. HP laptops may not be cheap but they do come with an impeccable build quality most of the time. Also, HP knows how to build laptops so that users don’t have to worry about certain components not fully meshing with each other. 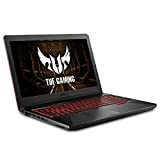 The Intel I7-8750H seems to be the most popular CPU for gaming and gaming development laptops. It’s a solid multi-threader, and unlike AMD CPUs, it also shines in single core performance, for when it’s time to test your progress. This laptop is not cheap but that’s because it is loaded with great components. Take the Nvidia GeForce GTX 1070 card for instance. It’s still one of the best cards on the market and much more cost-effective than the 1080 or 1080Ti. And, given the way game development still works, it’s miles better than the Nvidia RTX graphics cards which have yet to have found their niche. The 32GB of RAM is more than you probably need. It’s enough to handle anything including high-quality VR game development. But what’s more impressive about this system is that it comes with a 144Hz 15” display. The display is not large but the refresh rate makes all the difference if you’re trying to make something that resembles modern games, and you’re not looking to make Billy the Kid-style arcade games. As you get better or your work gets more demanding, you can upgrade the HP Omen. It has room for two more 2666 RAM cards. 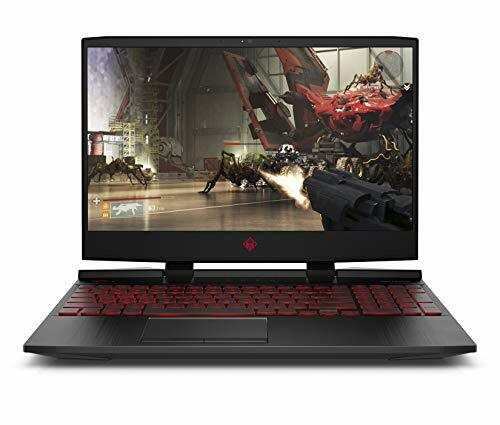 Bringing the total to 64GB would make this laptop a true beast in every sense of the word as the CPU will still be relevant for a few more years, if not for gaming at least for gaming development. 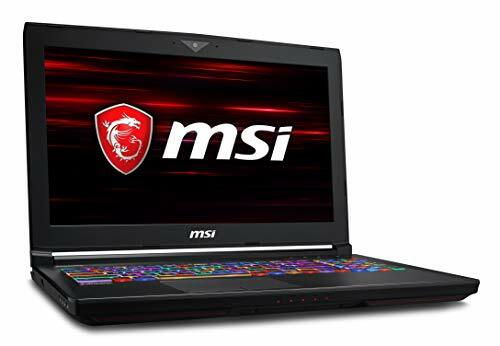 If you’re familiar with the quality work MSI does on graphics cards, monitors, and motherboards then you probably won’t question this laptop’s durability. The GT63 Titan-052 is another monster laptop a game developer would be lucky to have. The first thing to appreciate about this model is the fact that it’s made by MSI. Performance-wise, there’s nothing bad to say. The graphics card is a GTX 1080 8GB which at the moment shreds anything you throw at it, given the right configuration. And, because it’s paired with an Intel I7-8750H CPU, you won’t have to worry about bottlenecking. The 16GB of RAM may not sound like enough but, with the powerful CPU and GPU components, it may just be more than you need. Nevertheless, you can upgrade the laptop as it supports up to 64GB memory. The display is 15.6” full HD. It’s also a widescreen (1920 x 1080) which makes it great for working on game animations and cutscenes. The 120Hz refresh rate is quite good for a laptop. As you can probably tell by now, a lot of these game development laptops are essentially gaming laptops. But since theoretically you don’t need amazing specs to create a game, you don’t always have to aim for top-of-the-line laptops. It will ultimately come down to your game design requirements – as in what you’re trying to create and what game engine you’re using. Frostbite, for example, has lower system requirements but Unreal makes it easier to design games even if you’re new at this. Our top three picks cater to any type of game designer, whether you’re working in your spare time at home or for a big company.